I knew, I knew. But money was tight and flights and accommodation for this trip for all four of us were inside £300! The cost of living would be cheap when we got there too. 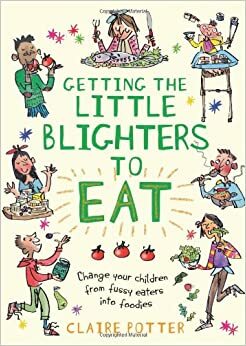 If you're looking for a budget-to-beat-all-budgets foreign trip to do with your family in the school Easter holidays (from the UK), this is it! Anyway, I like to go against the grain. I mean, how bad could it be? As it turned out, not at all. Flippin’ great in fact. 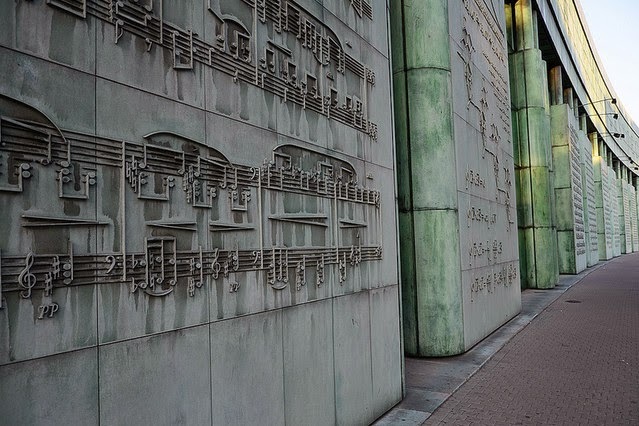 Warsaw was a surprisingly attractive city, criss-crossed with trams and crammed with fun, free or unbelievably affordable things to do with children. Here’s some of our highlights. 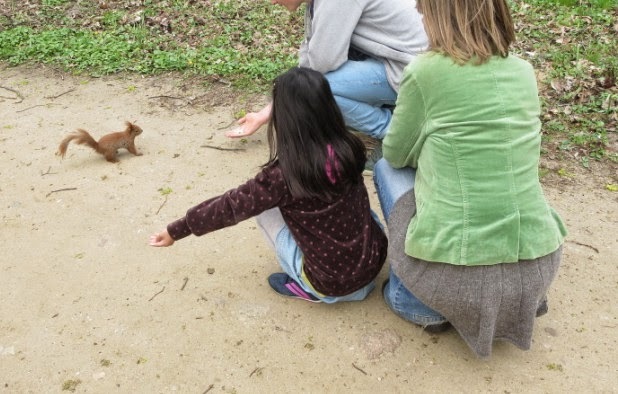 Lazienki Park, the biggest park in Warsaw, is teeming with red squirrels! The littlest, cutest, perkiest, tuftiest, fluffiest creatures that make the grey squirrels that have overtaken Britain look like large rats with puffed-up tails. 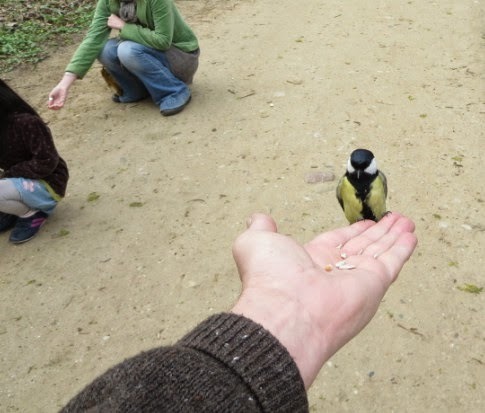 And with patience, you can get them to eat seeds from your hand. Just the right amount of patience – maybe 3, 4, 5 minutes – not so long that you give up interest, but long enough to give you a real thrill and make you punch the air (mentally!) 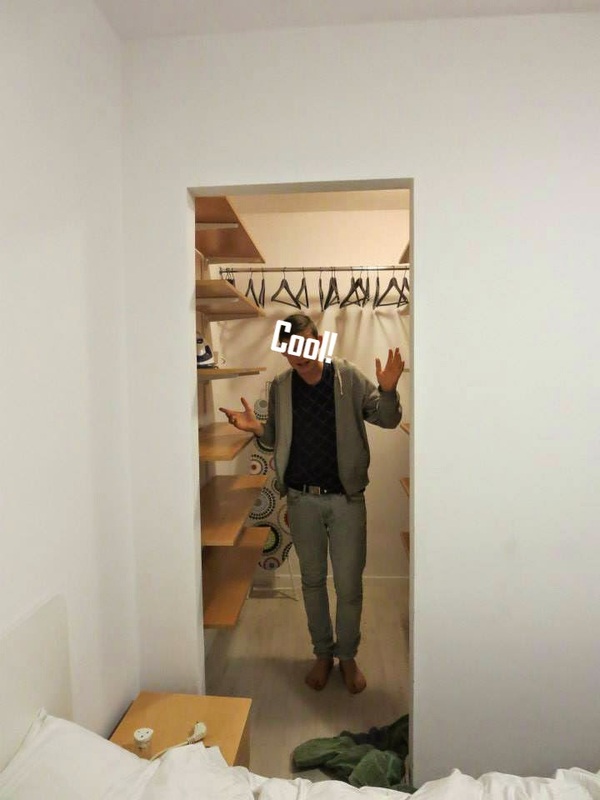 when it happens. 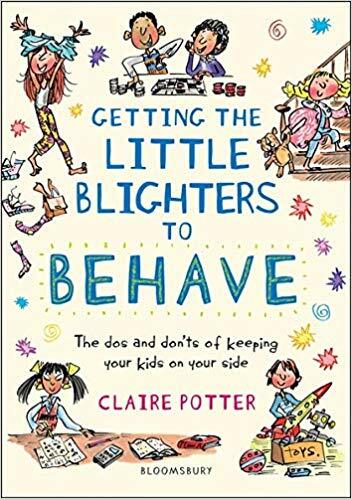 We became determined, addicted even, shuffling around in a squatting position with our hands out like crazy little diddymen. And we certainly seemed to have the Dr. Doolittle effect on animals that day. At one point, a bird even flew down onto my husband's hand. And when my son hovered with a seed over a hole he'd spotted, a tiny mouse popped its head up and took it! I should tell you that the park also has roaming peacocks, palaces on islands, orangeries, an amphitheatre, people on handcycles – and American Civil War re-enactors the day we were there! 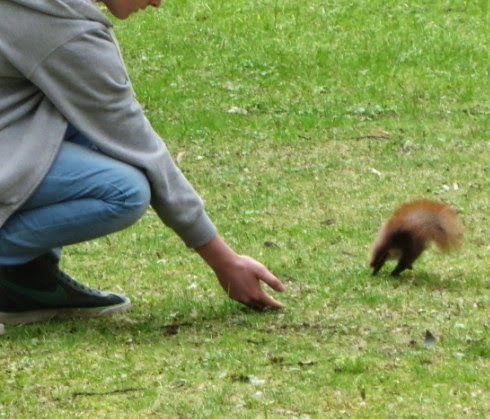 But for us, the gentle nibble-nubble of red squirrels eating out of our hands, that was more than enough to keep us happy. Why on earth would you take your kids to a university library on holiday? Because this particular university library is one wacky building. Inside and out. The facade is pretty striking in itself, but inside amongst the books is a playground of futuristic glass walkways and bridges and lifts to explore – as long as you play reasonably quietly! And that's not all. 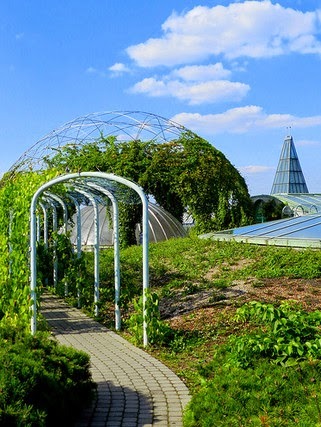 After that, you can also climb up onto the roof where there's a huge and funky garden (one of the largest roof gardens in Europe), which was – put simply in my daughter’s words – “epic”. You also get a great view of the Warsaw skyline from up here. Oh, and did I mention, it's free entry! 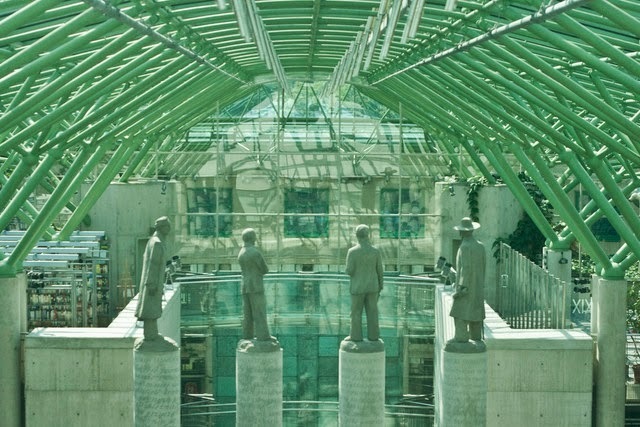 I think in my next life, I’ll be a student at Warsaw University and spend rather a lot of time at the library instead of the pub. "It's probably cheaper for us to fly to Warsaw for the day and go to the zoo here than it is for us to go to London Zoo!" remarked my son. That was a bit of an exaggeration, but not much. 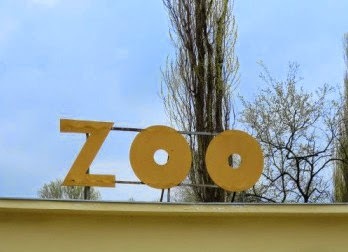 Tickets for us to get into Warsaw Zoo were 70 zloty (bout £13). That's not each. £13 TOTAL! As it was a school day in Warsaw, we also had the place almost entirely to ourselves. The only other people were three mothers with toddlers, a TV presenter and camera crew making a children's programme and a PhD student doing a 15-hour observation of gorilla behaviour. We got to see all the animals up close and personal, and all the biggies were there: elephants, hippos, giraffes, lions, rhinos, tigers, even a polar bear. It was a real Topsy and Tim Go To The Zoo kind of experience! 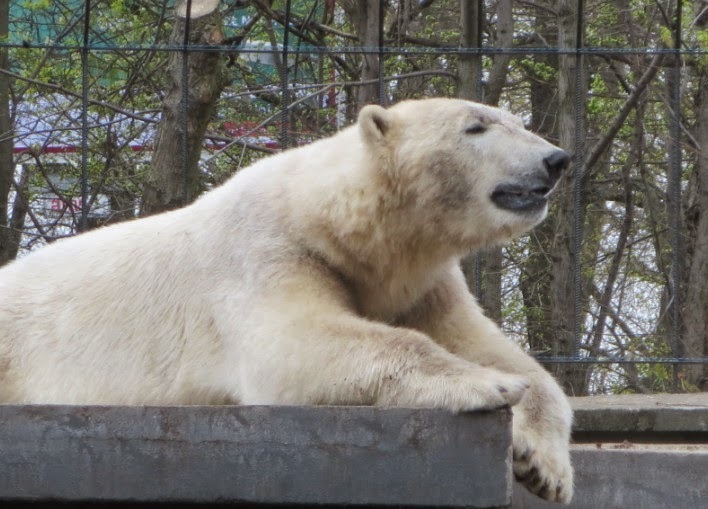 Perhaps the zoo was ever-so-slightly concrete-heavy in places, with a tinge – just a tinge – of sadness here and there, but no more than zoos in Britain I've been to. In the end, it's a zoo. 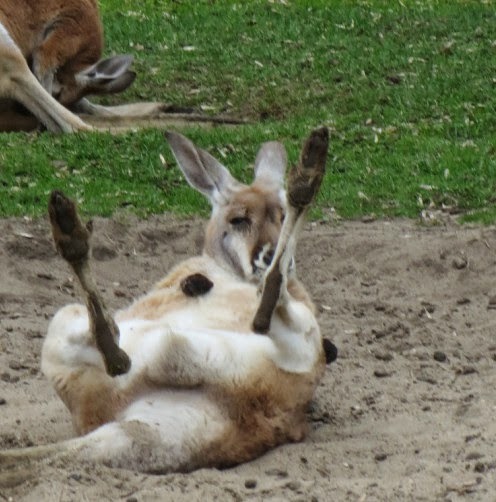 The kangaroos seemed pretty chilled-out. 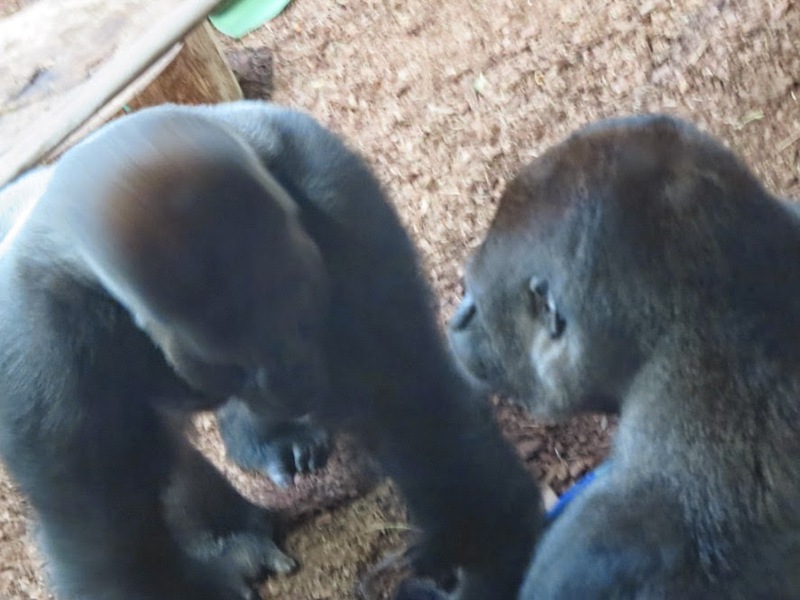 And the two gorillas were very happy chappies and thoroughly entertaining with their wrestling, chasing, chest-thumping antics. "They're play-fighting" the PhD student explained to us. "They're adolescent males and they need to establish who is going to be the dominant male." Mmm ... not dissimilar to a certain member of our family when he's with his friends. 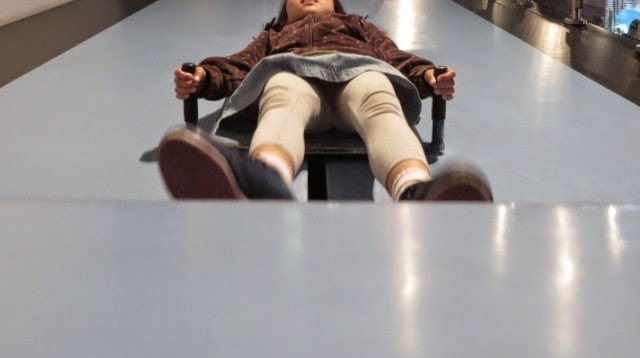 This humongous, state-of-the-art, hands-on (or whole-bodies-on for many of the exhibits!) science museum was better than any I've visited in the UK. Allow 3-5 hours for a visit, their website says! 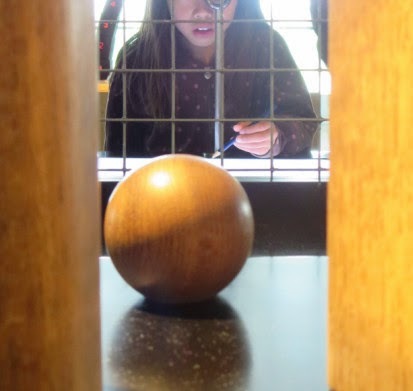 It was busy (we went on a Sunday) but I noticed and loved that the Polish people – kids and adults – seemed to approach each exhibit with a real focus and desire to learn. They didn't just press a few buttons, pull a few levers and move onto the next thing. They wanted to do things properly. We experienced what it’s like to be in an earthquake, walk on the moon, manoeuvre a wheelchair, and so, so, so much more. And the price of a family ticket? 66 zloty (= less than £12). My son, as I mentioned when we stayed in West Ham United Hotel, is stadium-crazy. 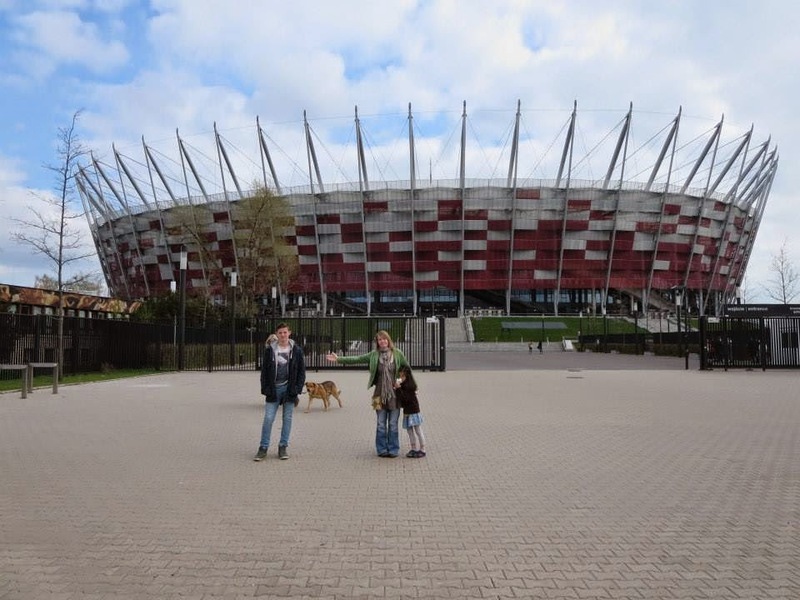 So we couldn’t not go to the Stadion Naradowy, an impressive, 58,000-seater stadium with retractable roof. Even for me and my daughter who groan when we even hear the word ‘football’, walking into that vast, cavernous space had quite an impact. My son went still and quiet, imagining a game in action I could tell, while my daughter became lively and excited. She wanted us to all to sit as far apart as possible on different levels of the stadium so she could run around and up and down between us. “Give me messages and I'll be like the email going between you!” she said. 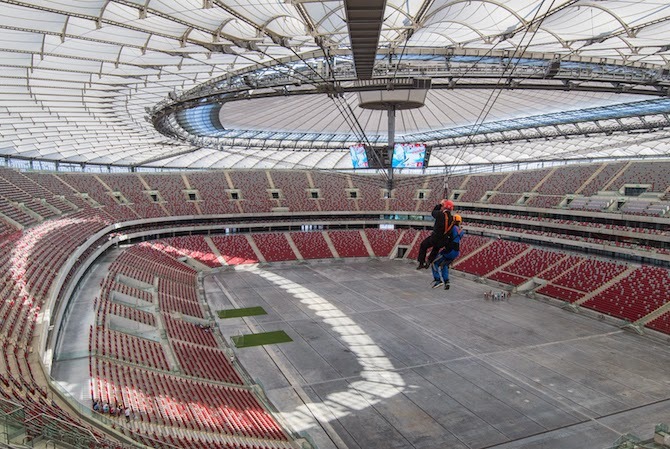 We paid 30 zloty (= £5.30) for all of us to go in and have a look, but you can also do a tour, have a family brunch overlooking the stadium on a Sunday and catch all kinds of events through the year –from the Indoor Windsurfing World Cup (they fill the stadium with water!) to an extreme rope slide experience for kids with speeds of over 60km/hour. 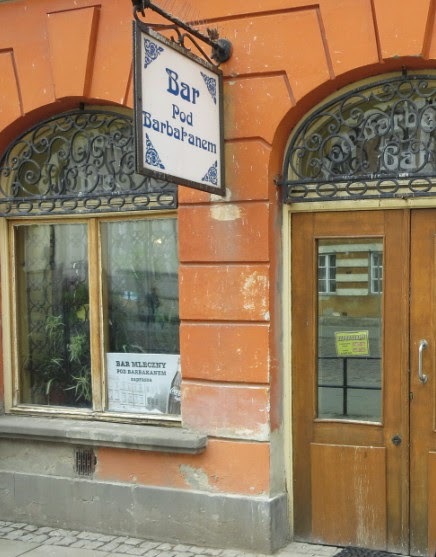 A milk bar or Bar mleczny in Polish is one of the old communist-era cafeterias, where workers whose companies did not have canteens could have a cheap, nourishing lunch. Many have been preserved and are charmingly nostalgic places to eat – if you're brave! The system is simple, or should be: You order your food at the till, get a ticket and then collect it from a hatch when it's ready. However, the women who work in these places are extremely ... erm ... business-like, and helping foreigners decipher the menu is clearly not in their job spec! So we sold it to the kids as a 'Mystery Lunch Experience' and took our luck by pointing at random words on the board. And we were pretty lucky! We weren't entirely sure what it all was, but it was all tasty, filling and around 45 zloty (= around £8) for the lot. We'd eaten most of it by the time this photo was taken but the tomato soup with the pasta in it was a big hit with my daughter. 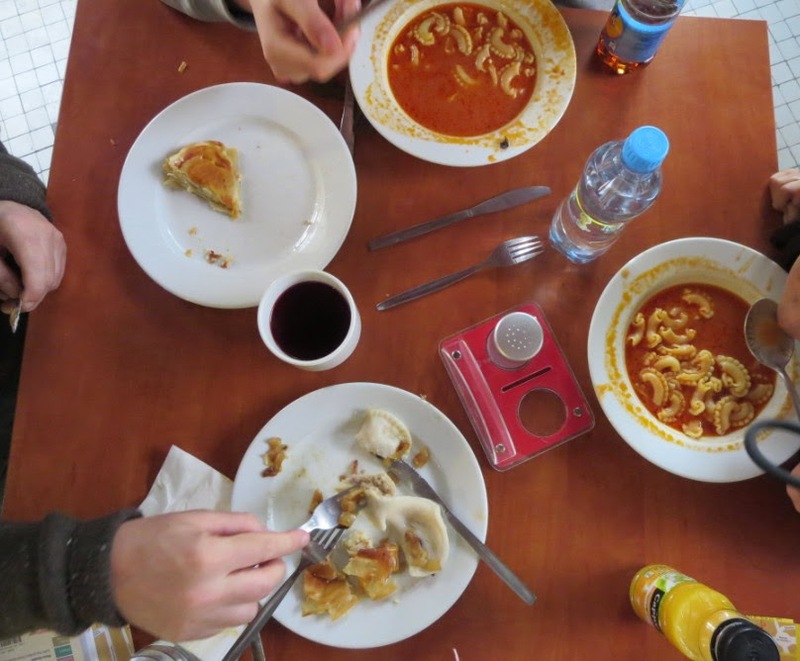 After that, we looked out for a Milk Bar every lunch-time and we got a lot better at them: re-ordering things we’d particularly liked, pointing to other people’s dishes that looked good and matching up words on the menu with words in the food section of our phrase book. It was a fun way to sample tradtional Polish food like borscht (beetroot soup) and pirogi (dumplings) at non-touristy prices. 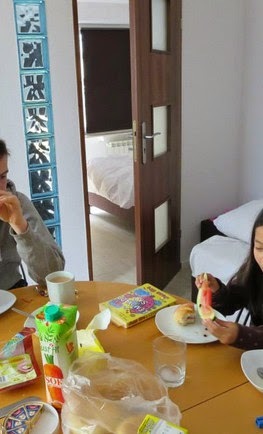 We booked a 2-bedroom apartment for four nights through a scheme called Bed4City at £22.50/night. (That's less than the price of a Premier Inn in an unpopular location on a weekday!) 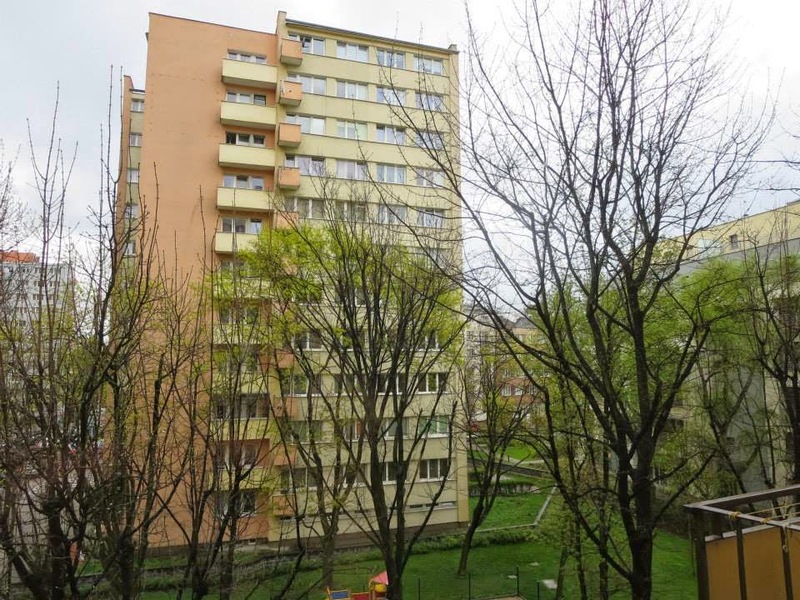 Yes, it was in a forest of drab, suburban, ex-communist tower blocks. Yes, the lift was scarily antiquated and juddery. But don't be fooled by the outside. The inside went way beyond what we'd expected for the price. It was warm, spacious, modern, spotlessly clean, quiet, fully-equipped, opposite a supermarket and a few minutes walk away from a tram stop for the 10-minute journey into the city centre. My son was particularly delighted to discover he had his own walk-in wardrobe. Perfect for the two screwed-up T-shirts he'd packed. 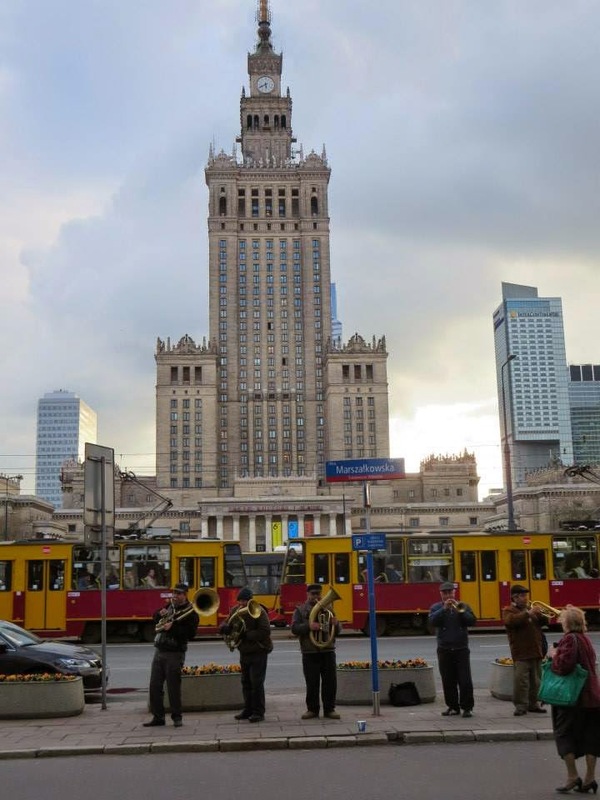 We flew from London Standsted to Warsaw with Ryanair and booked our apartment through booking.com. Oh wow, this sounds like an absoultely fun trip. I want to come with you next time! You're on, Maryam! May not be such a cheap trip for you from where you are though!!! I want to visit Warsaw one day. My paternal grandfather came here from Poland, and I'd like to visit at least once. Oh really? Yes, that would be a meaningful trip for you, Robin! But not quite so cheap as for us!!! I trawled through every flight to every destination to find THE cheapest place abroad we could go at Easter! Arnhem in Holland was equally cheap to get there, but more expensive when we got there, so Warsaw it was! 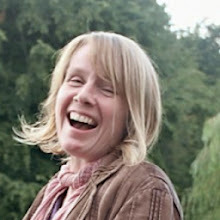 Hello Claire! You have chosen good places for the trip. Watching the pictures, making me anxious for a similar trip and I'll soon. You're blessed with a sweet family, God bless you all. The photos are quite cool and attractive. Save these memories forever. Try Flip-movie or other photo effect software to make them more attractive. Digital guest-book Orlando. Thanks.